When you are the parent of a child with a food allergy, you have additional obstacles and things to consider when trying to be prepared. There could be circumstances where you’re required to shelter-in-place in your home for an extended period of time, or even go to a public shelter. In the event of either of these scenarios the best thing you can do is be prepared, and prepare your family for what may happen. This preparedness and training can be really beneficial for your children whether it’s a major disaster or a small house fire. The first step to getting ready for any sort of disaster or emergency situation is creating a family plan. In addition, depending upon the age of your child and the size of your family, you’re going to have to make adjustments to your plan. For example, if you have an infant your child isn’t going to be able to do much for themselves, and if you have an older child they may be able to help out more. Additionally, you have to keep in mind that your child and you may not be in the same place during a disaster, so you have to figure out how you will reach each other and meet. Fill out a Family Communication Plan for your child and put it in their go-bag, make sure they know and understand the plan (depending on their age). Be sure to fill this out together and talk through this plan together. If your child is at school you’re going to want to 1) talk to the school about their emergency plans, and 2) figure out what supplies and emergency kit you’re going to leave for your child at school. I think it’s critical to explain to your child what will happen and where you will be during this time. Do they store water and food? Do teachers have first aid and CPR training? Can children leave and store their own emergency kits? 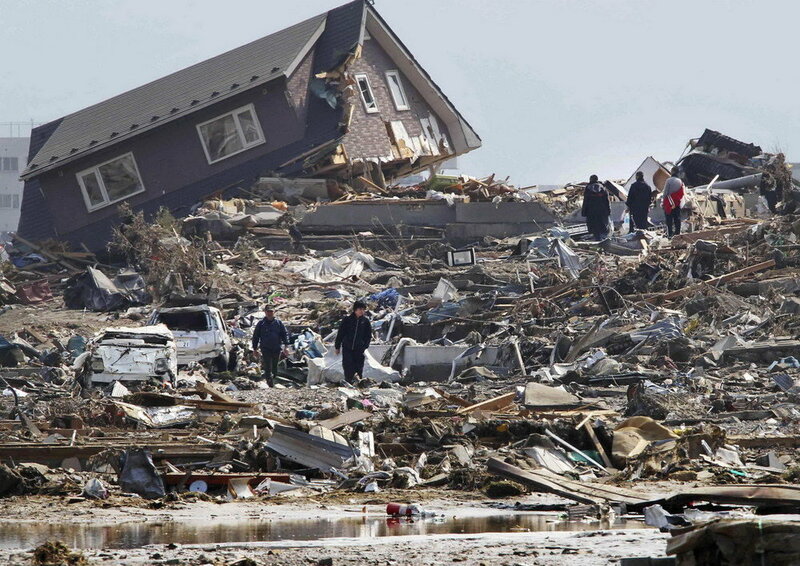 What is the plan if the class doesn’t shelter-in-place and they have to go somewhere else? 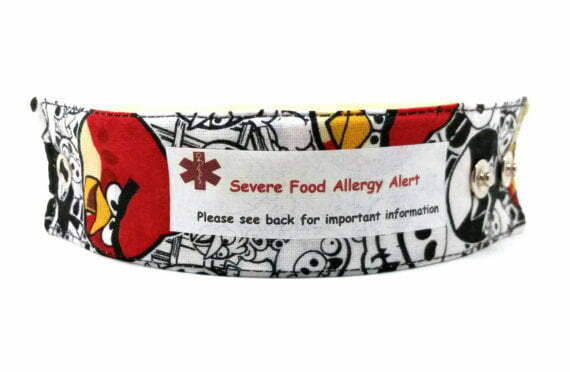 An emergency ID card – in addition to their allergy bracelet. These ones come in a variety of patterns and styles and you can include your contact information on the back. It’s important to have a home emergency kit stocked with everything your family could need. I highly suggest having extra food for your child with food allergies. During a stressful situation, you don’t want to be forced to introduce new foods, so pack long-term emergency food and extra of it. Don’t forget to re-stock and check your home emergency kit regularly. PackIt Gourmet has both dairy-free and gluten free meals that can be used in long term storage. 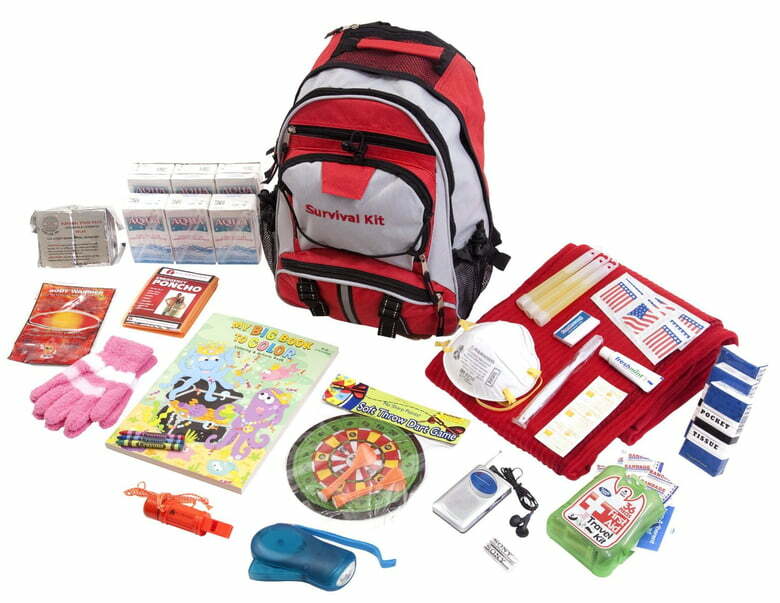 You can also pick up a pre-made kit like the one below and then add additional items that your child may need.